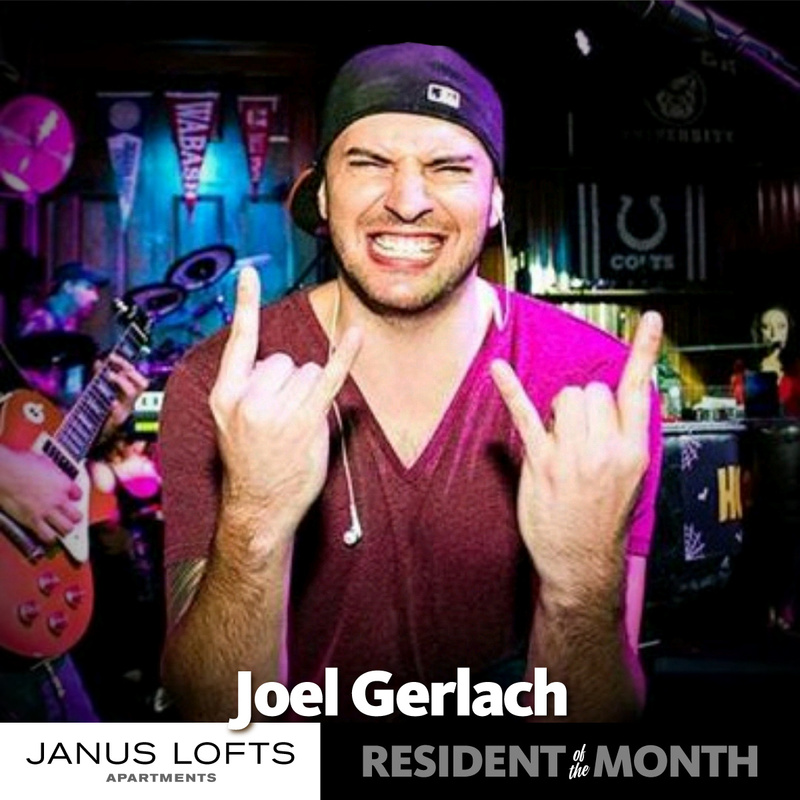 Meet our resident of the month, Joel Gerlach, who lives at Janus Lofts! What do you love most about living downtown, and what’s your favorite summer activity around downtown Indy? Downtown, and especially The Wholesale District, is the place to be for food, drinks, and entertainment. Plus, I work on Georgia Street, so the commute is nonexistent while living at Janus Lofts! I love riding my bike and downtown is very cycle-friendly. I also love going to concerts at White River State Park. There is no shortage of fun to be had in Indy during the summer! What is your favorite feature about your apartment at Janus Lofts? The size of my apartment is perfect for me, and the high ceilings are to die for. My favorite part of my Janus Lofts apartment; however, is the combination of older architecture and updated features. The textured ceilings, concrete floors, and exposed ducts coupled with the cabinets and appliances give my apartment a uniqueness that can't be found anywhere else! Every night at Howl at the Moon! It's a one-of-a-kind experience downtown. I may be the Entertainment Director, but even if I didn't work there, that's where I would be hanging out!